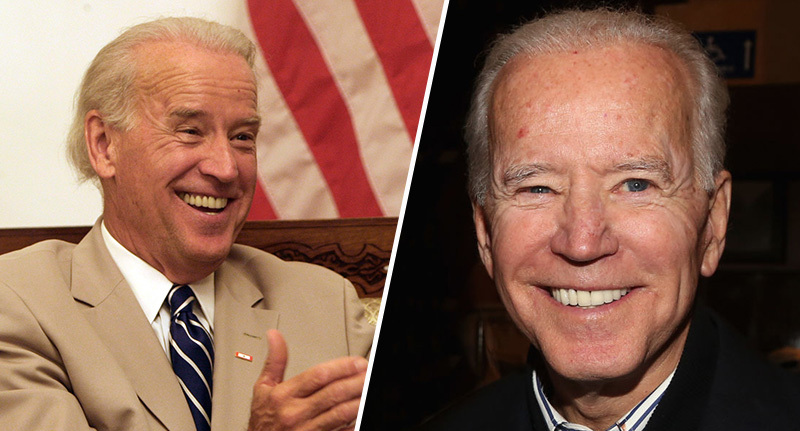 American politician Joe Biden, has reportedly told a number of senior Democrats he’s running for president. The former Vice President of the United States even set Tuesday (January 15), as a likely announcement date, according to Axios. Biden’s youngest brother, Frank, has also revealed how he expects him to run in 2020. Now, he could surprise me, but I know the family’s behind him 100 per cent. I believe Joe should run. I’m urging him to run and have been for a long, long time. Unsurprisingly, POTUS Donald Trump responded to the news by mocking Joe Biden. Trump called in to Fox News host Jeanine Pirro’s show on Saturday night (January 12), and dismissed Biden’s chances of unseating him in the next election. You know, a lot of people say Biden’s doing okay, but he was always a one-percenter. He ran two or three times, he never got above one per cent. And then Obama came along and took him off the trash heap, and he became a Vice President, and now he’s probably leading. But he’s basically a one per cent guy. He’s weak. So we’ll see what happens with him. But I think he’s leading right now, from what I understand. However, Biden is yet to hire campaign aides or a staff, and it should be noted, he remains officially undecided. In 2016, Biden helped clear the way for Hillary Clinton when he decided not to run, citing the death of his son Beau, after a battle with brain cancer. Meanwhile, former San Antonio Mayor Julián Castro, who was an Obama-era cabinet member, launched his bid for the 2020 presidential race, becoming the latest Democratic contender for his party’s nomination. He’d be the nation’s first Hispanic president. Congresswoman Tulsi Gabbard of Hawaii, a progressive Democrat, said on Friday (January 11), she’ll officially announce her presidential run in the coming days. US Senators Elizabeth Warren, Bernie Sanders, and Kamala Harris are also expected to make their candidacies official. Former New York City mayor and billionaire businessman Michael Bloomberg is also said to be considering a possible run.